You just Can’t Get Enough: New X-T1 pictures (one with vertical grip)! 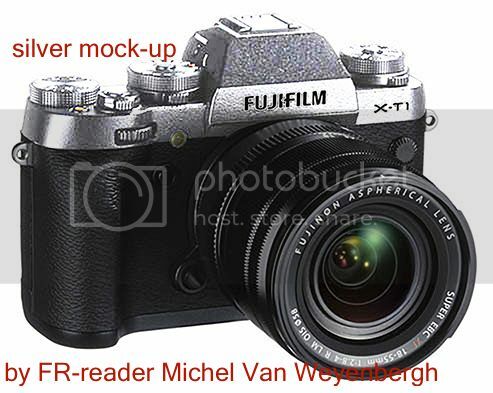 Here are three new pictures of the Fuji X-T1 leaked by our friend from Digicameinfo. Only six days to go until the camera gets announced (at around 5-6am London time on January 28th). Feel free to follow the event live here on Fujirumors with a couple of hot coffees to keep you awake :-) and to support Fujirumors by pre-ordering it using one of the shoplinks on this blog. – animated gif size comparison X-E2/X-T1 by FR-reader MJr here. – Leigh Diprose wrote me on facebook: “I recorded an Google+ Hangout discussing the camera. Some of your readers might find this interesting.” See it here. (recorded after the first leaked image). – Shared via twitter: “Here’s a quick rundown of what we know of the X-T1, and how it compares with Fuji’s current top-end cameras, the X-E2 and X-Pro1. 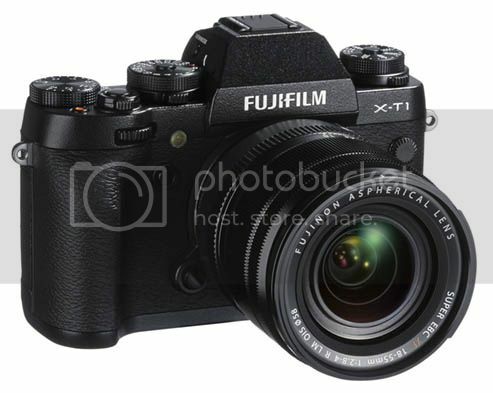 Keep in mind, much of the info about the X-T1 is still rumour.” Check it out af fujivsfuji here. 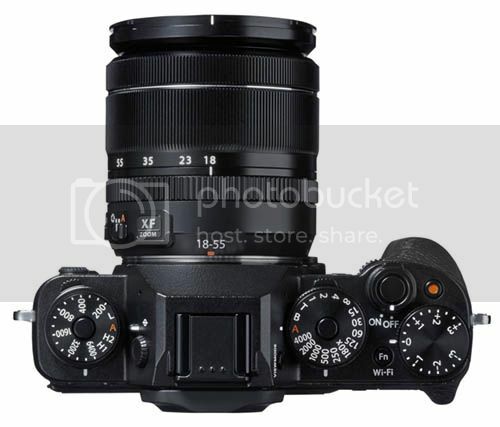 previous post: X-T1 price: €1200 ( ≈ $1300). next post: Never ending leak! 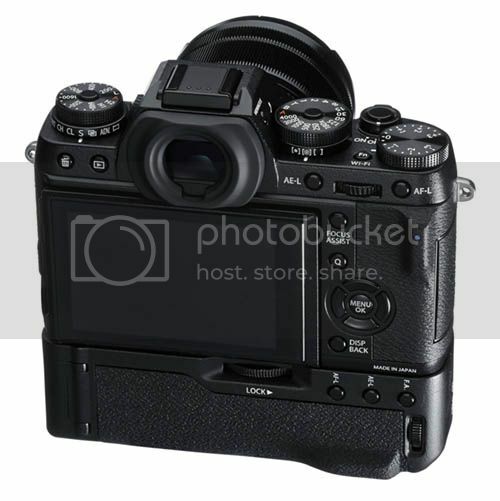 X-T1: more images, specs and XF 18-135 (weather sealed) will come in May!